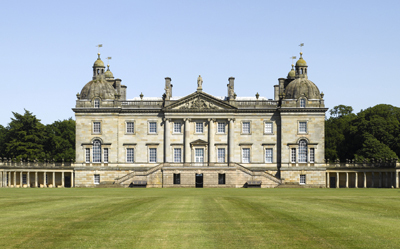 This week Country Life reports on Houghton Hall, whose state rooms have been transformed by the return of over sixty paintings sold from the house and collection of Sir Robert Walpole more than two hundred years ago. An exhibition of fine art in a series of great interiors might in ordinary circumstances create a conflict; the paintings and architecture striving with each other for the visitor’s attention. Here, however, the display is a revelation. By attempting to recreate a historic picture hang the display augments our understanding of Houghton. Offered by it is a completely different perspective both on Sir Robert, and on the celebrated interiors he created with William Kent. The display at Houghton has, in effect, brilliantly united the delights of a country house visit with the formula of the art exhibition. By so doing it has made both a great deal more exciting. The country home of Britain’s first Prime Minister has been visited many times by Country Life. As Sir Robert Walpole’s magnificent art collection is reassembled in its former home, it is possible to track the changing face of this house through the 20th century in the Country Life Archive.